PLEASE NOTE: This is the transcript from our 30 minute podcast entitled BEST LMS’S FOR ONLINE COURSES. Please click here to listen to the full podcast. Today we’re going to talk about what makes a great Learning Management system or LMS. You’ll also hear people call this an online course management program, course management system (CMS), online training software or online education software. And in some cases, there are important differences between the terms. But there is also a lot of cross-over as well. 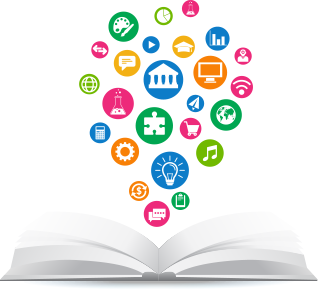 But often LMS or Learning Management System is the generic term used to describe a platform or framework where educational takes place online. So let’s jump in and talk more about LMS’s and how you can use one to deliver and manage your online course. But before we jump in I want to make an important distinction here. I’m not catering this podcast to larger corporations or governmental organizations looking for a training or assessment platform for their employees. These are often really really expensive platforms. Instead, I’m going to cater this podcast to single educators. People who have an idea for a course and want to be able to be able to offer it online. So the type of person I’m looking for right now is the person who is skilled in something, who has a lot of experience doing that “thing” and now they are at a point in their career where they are having people swarm around them wanting to pick their brain and learn as much as they can from them.